If you've ever been to Walt Disney World and eaten breakfast at any of their on-site restaurants, odds are that you have eaten - or at least seen - one of their famous waffles in the shape of Mickey Mouse's head. If you haven't enjoyed this treat... well, I'm sorry. Now, I am certain that the environment adds a little magic to the enjoyment of these, but the objective fact is that Mickey waffles are simply quite tasty. To my knowledge, there is no mix available for sale to recreate this breakfast magic at home; fortunately, Disney is not at all secretive about their recipe. Odds are, you have all of the ingredients in your pantry right now... you just need to put a little effort in, and you'll be able to recreate a slice of that Disney magic in your own kitchen! I'm forty-two years old, have done reasonably well with my career earnings, and yet I drive a twenty year old pickup truck. I'm notorious for wearing shoes until I get literal holes in the soles, and work clothes until they are threadbare. Donna drove her last car until it died at a hair under a quarter of a million miles on the odometer. There have been far too many special occasions in our marriage - birthdays, anniversaries, Christmases - where my wife and I exchanged token gifts or the like, or put off something for ourselves for seemingly unreasonable amounts of time. And yet, we will spend butterfly-inducing sums on family vacations. At Christmas, our kids have literal piles of gifts. Birthdays are always major productions, with my wife putting together incredibly themed parties or organizing major events around them. We will skimp and scrape to take an overnight trip to an out of state aquarium, or to maintain a zoo membership (that is used multiple times per year), or to simply ensure that the kids get special outings to see their highly anticipated movies in the theatre - which is no small undertaking in a family of ten, with six kids ages ten and under. The Suddeth boys playing Whoowasit. 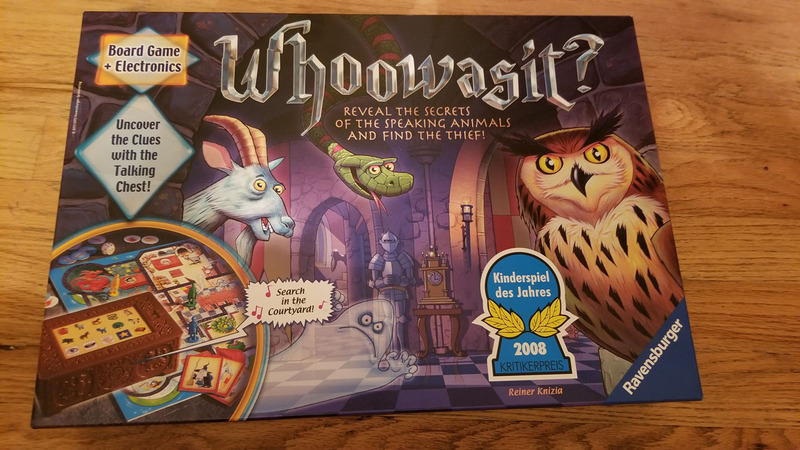 Over a year ago, Jonah (my eight year old) received the Whoowasit Board Game from Ravensburger as a Christmas present from his Mimi. The box looked really neat, but it also looked like it could be complicated... so it actually sat, unopened, in a closet for months. 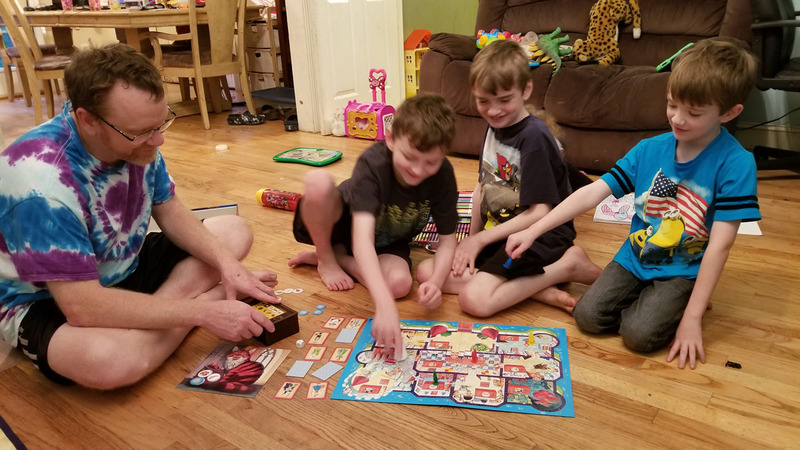 Once we eventually got around to playing it, the boys and I had a blast - and I felt silly for waiting so long to open it. This past weekend, we played it again, and Donna pointed out to me that this is exactly the sort of thing that my readership might be interested in. Like I said, the box looks really neat. A couple of days ago, I posted on the HomeBrew Dad Facebook page about how I was making some Barbie doll sized sleeping bag/pillow combos for my daughters, and mentioned how I would probably make a full post about these. The first two have turned out really well; I fully expect that I'll be making more of these in the very near future. As promised, here is that full write up! 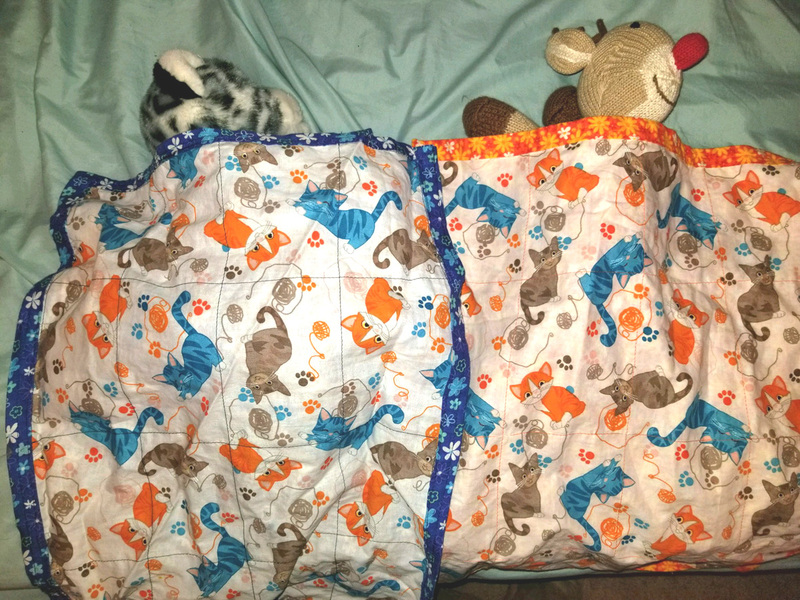 Now, the girls have really enjoyed the blankets I sewed for their stuffed animals, and Donna had suggested that they would really like some sleeping bags for their Barbie dolls. When I asked them about it, the response was enthusiastic - to say the least. Originally, I had planned to make these as ultra simple as possible; basically, I was thinking of making a simple "pocket" out of some scrap fabric and calling it a day. But I made the mistake of going online to look at other people's Barbie sleeping bags, and felt like just folding over a piece of fabric and running a couple of seams would be lame. Most of the projects I found featured pillows for the dolls, and Wynter was quite adamant that yes, pillows were a "must have" accessory. A week or so ago, I was in the grocery store with my six year old, Silas. We were in the produce section, and he decided that he wanted a peach. In response, I grabbed a bag and put eight in there - one for him, and seven for one of my wife's absolute favorite desserts - homemade peach cobbler. As I have mentioned before, my wife is the cook of our house. However, there are several items that are considered to be my specialties; peach cobbler happens to be one of those. To be fair, it's not at all difficult to make; anyone who can follow a simple recipe can make this one successfully. I'm pretty certain that she feels selfish spending much time or effort on a dish that she feels is more or less for her, though, which is why I have stepped up to be the Cobbler Guy in our house. The full recipe for this delicious dessert is included at the bottom of this post. Feel free to skip down for it, but I figured that it would be fun for me to document the process of making the cobbler. For those who are interested... read on! Get ready for a super complicated sewing tutorial if you want to make blankets like these! Easter is kind of an odd holiday in some ways. It's a definite family gathering type of day, but unlike some of the other big family holidays (Christmas, Thanksgiving, Independence Day), you don't really have a traditional menu associated with Easter. In the past, my wife has done turkey and dressing for dinner, as it seems a shame to only enjoy that meal at the end of the year... but this year, she just wasn't feeling it. Instead, we decided to grill for dinner, but she requested the full Suddeth Big Breakfast ™ to start the day. Now, please understand - my wife is truly the cook in our family, and she's absolutely fantastic at it. She's always mixing in new recipes while rotating favorites through the menu, and it's extremely rare for her meals to not fall somewhere between "tasty" and "holy cow, that was amazing". However, there are a few exceptions where I am left in charge of a given meal, and our Big Breakfast is one of those notable instances.